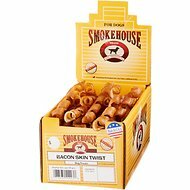 Smokehouse Piggy Chews are a classic chew sure to keep your dog's tail wagging. These high-quality pig ears are slow-roasted for up to 48 hours to lock in the flavor. 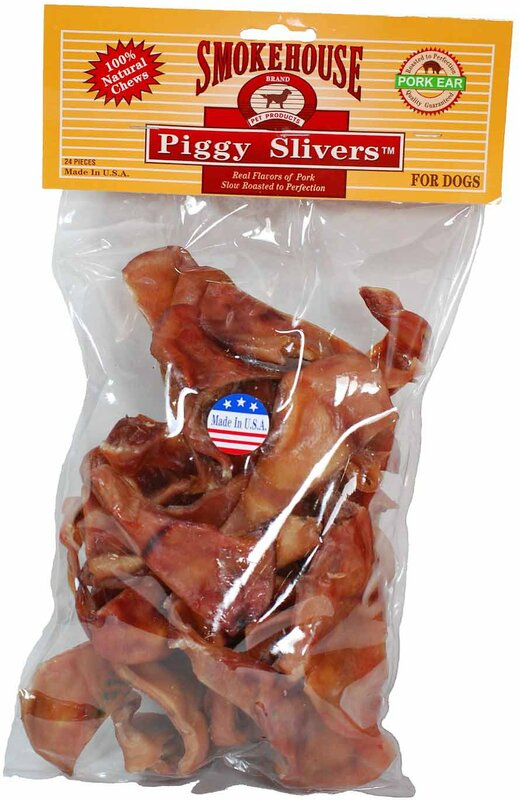 This is sure to become one of your dog's favorites! 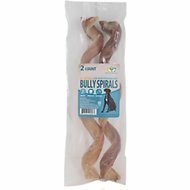 Always provide your dog with plenty of fresh water when feeding any type of dried treats or chews. Intended for intermittent or supplemental feeding only. My dog loves these treats. Yesterday I received a package with the bottom torn open. There were also 2 puncture holes from the sharp points of the ears. The ears look fresh, no discoloration. I hope they are OK for my pooch. Both my dogs (pit bull and husky) love these! The treat is just the right size, for a quick tasty snack. I’m usually worried about my dogs getting territorial over meat treats, but because these don’t take long to eat they never get the chance to get agressive. My dogs love these! Just enough for a treat and not too much to spoil their supper later. They're always so excited when a Chewy box is delivered. The only beef I have is, they are too small for big dogs. I have a Samoyed, Husky, Shepherd and Malamute. Lolololololol.... they LOVE THEM, BUT.... gone in 60 seconds. So I went with the big ones. 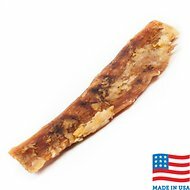 I love these pig ear strips, because they are the perfect size for a crunchy treat that cleans the teeth, while still being lower in calories. The whole ears are too fattening and can upset the tummy. My dogs absolutely LOVE these and they're fresh! I really like the small size. Perfect for a regular treat! Also love that they are sourced and made in the United States! Our dogs love them! Just the right size to alternate those with dentasticks. Felt like we were wasting our money with the full sized pig ears, these are perfect!!! Our dog Gibbs loves them ! Nice to get them so he can chew on something good ! I gobble them right up, they are sooooo good! Thanks Chewy.com!